3-7 Hot-tasting, hollow dark green leaves grow to 12 inches. They clasp the base of the flowering stem. White flowers in shuttlecock-shaped umbel on 36 inch stems in June-July followed by papery tan capsules with black seeds in August. Clump-forming native to Siberia. It is not weedy or aggressive.
" 'Chinese Chives'. Another member of the genus which as well as being very decorative can also be used for cooking. The flowers, small round heads of lilac mauve, are born throughout July and August, and the petals can be used as a garnish on salads. The grass-like foliage can be cut and used as a herb with a slightly lighter and fresher taste than common chives. Height 30cm (12")." from R.V. Roger. 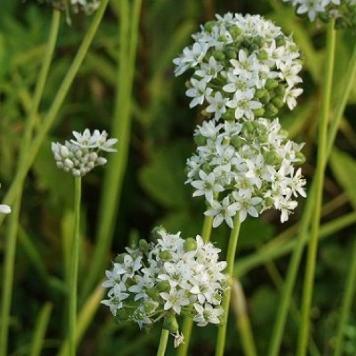 "Flowering in June, ample heads of pure white flowers have red veins running down the backs of the tepals, and although this is sometimes confused with Allium tuberosum it is not weedy or aggressive. A beautiful, early flowering, clump forming variety, which is native to Siberia, China and Kazakhstan, and is very showy in beds, borders or rock gardens. "Plants have hollow leaves that grow to 1 foot tall. The white colored, many star-shaped flower with green centers are upright facing, arranged into moderately dense umbels. The narrow clusters of flowers are up to 2 inches wide. Carefree, drought tolerant and attractive in the garden, where happy will self seed but for us it has not been overly aggressive. Flowers in early summer, grow in full sun, over a few years each plant will grow into a dense clump and put on a nice display in the garden. 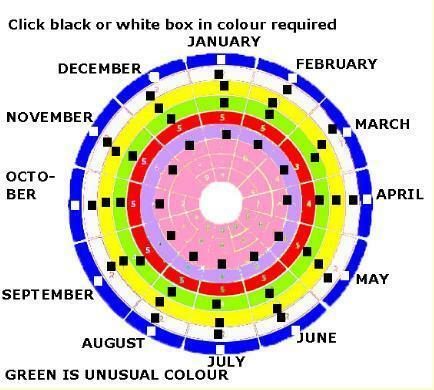 The seeds are large and easy to sow, and seedlings will bloom the second or third year." from Hardy Plants - We have a good selection of seeds for plants for, butterfly gardens, green roofs, rain gardens and flowers for cutting.